Editorial: The safety of the pill. J R Coll Gen Pract 1974; 24 (142): 295-296. 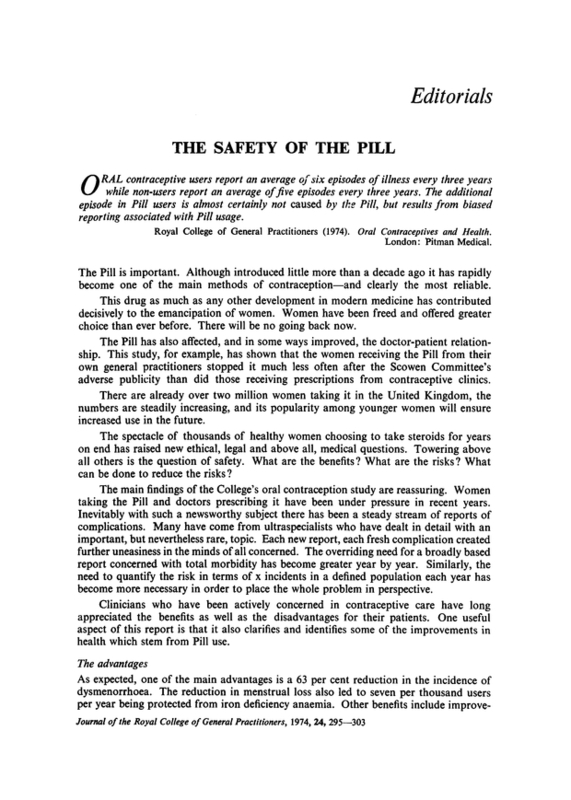 You are going to email the following Editorial: The safety of the pill. "The cawing of the crow...Cassandra-like, prognosticating woe". Screening for colorectal cancer: decisions in general practice.